February 2017 was all about unique PanPastels! PanPastel Colors are professional artists’ quality soft pastel colors packed in a unique pan format. The special qualities of PanPastel Colors mean that artists can blend and apply dry color like fluid paint for the first time. These colors were curated to demonstrate their pearlescent colors, and pair well with your metallic palette from January 2017. They can be laid over your dried watercolors to blend across colors and tones. The box also included a set of Sofft tools that have been specifically developed for use with PanPastel soft pastels. This tool is ideal for blending, softening edges, and applying colors in difficult to reach areas. It comes with 3 replacement heads. Fun fact: PanPastels are fully erasable! We included one of our favorite erasers - the Moo Professional. It works wonderfully with the PanPastels due to it’s soft yet dense nature and that it doesn't damage paper even with excessive rubbing. Lastly we included a pilot fineliner to add outlines or provide more detail to your new pastel piece. Pilot’s premier marker pen is world renowned for providing the ultimate experience in smooth drawing. 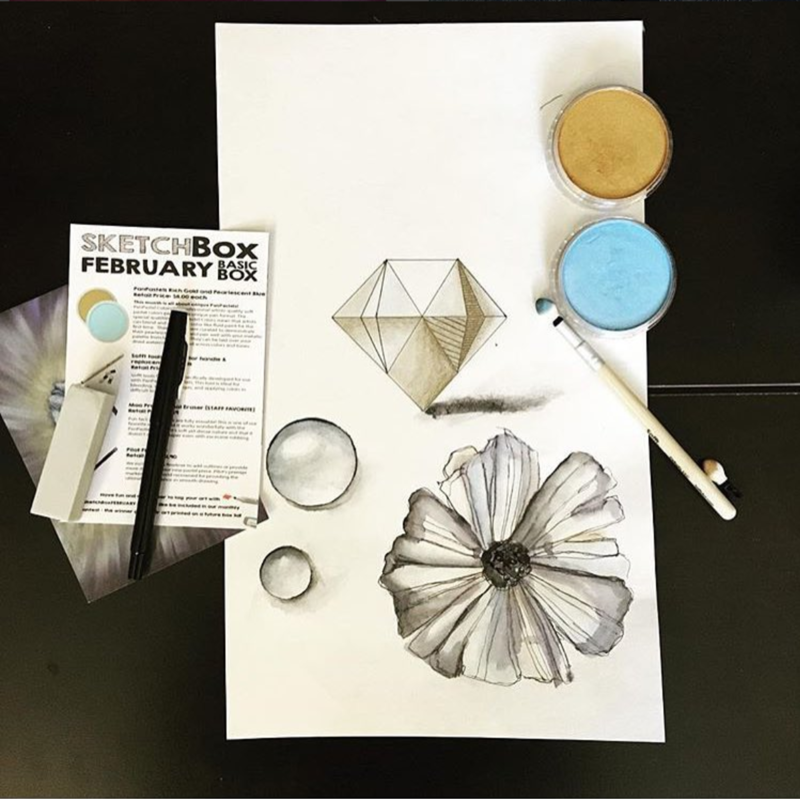 The beautiful art in this image was created by our subscriber @sam_tilly on instagram!